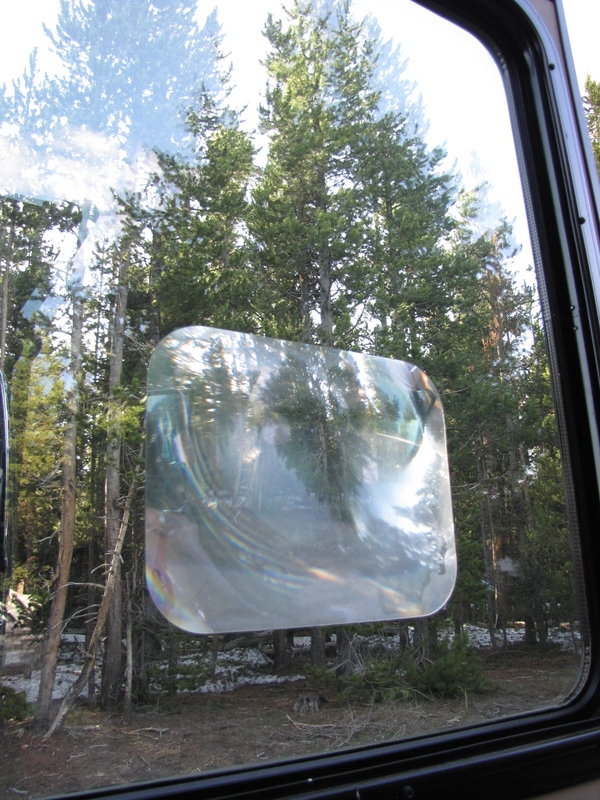 We have collected and use a few add-ons that help us ease our RV travels down the road. Some of these may help you as well. Let me know what you think and if you have any to add. These maps provide information on all major United States, Canada & Mexico highways. In addition to providing a route for your travels, truck routes are highlighted to show what routes are possible for big rigs. Most importantly they provide low clearances for State and Federal highways. We discovered the importance of clearance information when we ripped 8’ of roof off our 5th wheel. While we did this in a municiple park – and the atlas would have been no help – we understand the need to know road and overpass clearances. Another tool that may pursuade you to be aware of clearances are multiple utube videos showing RVs trying to pass under a too-low bridge. Ouch!! We attended the Lazy Days Tampa Driver’s Confidence class. This class, provided as a courtesy to anyone who registers (you do not need to be a Lazy Days customer to attend) provides a seated class & behind the wheel lesson. Don & I both attended the class and it helped me greatly boost my confidence driving. The instructor, Barney, provides instructions for placing dots on your rear view mirrors and windshield. These dots, when properly placed, help you place your coach in the traffic lane and let you know how close your coach front is to a curb (or sign or another lovely campground obstacle) when turning. While not for everyone, it greatly helps me drive – as I can easily see where the coach is in relation to the center and shoulder lanes. 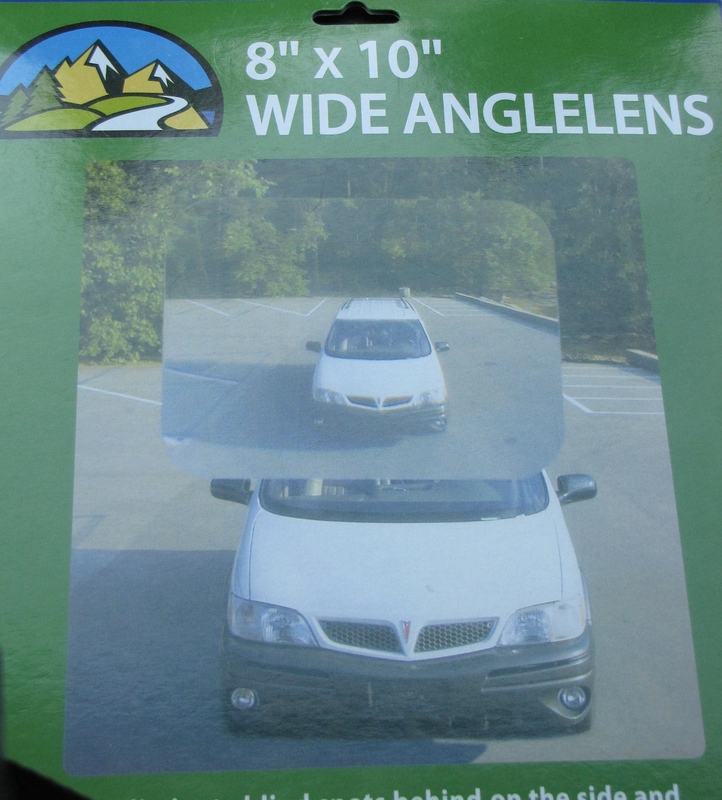 This device, when placed on the passenger side door eliminates many blind spots on the coach side. 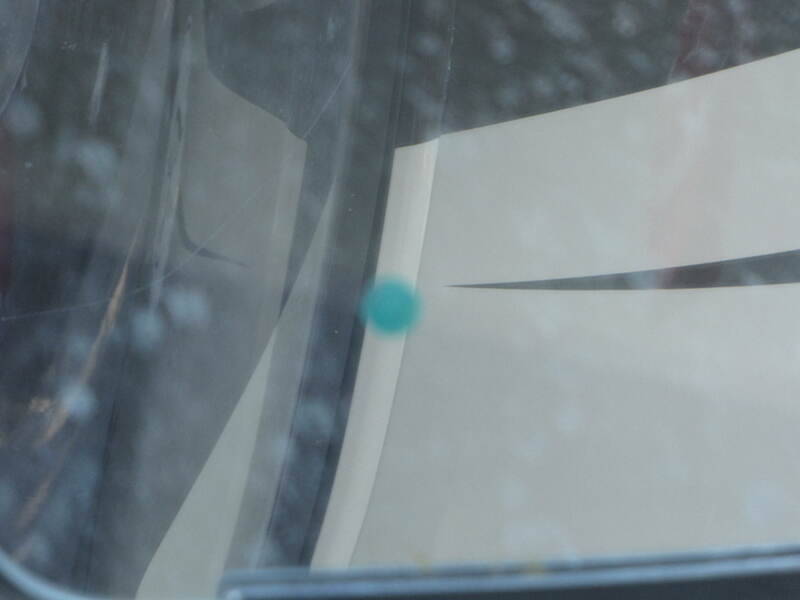 It self-sticks to the window on the passenger side door, allowing the driver to see to the bottom of the pavement and to view a cars passing on your right. This inexpensive device may help you avoid a bad situation. Maybe. 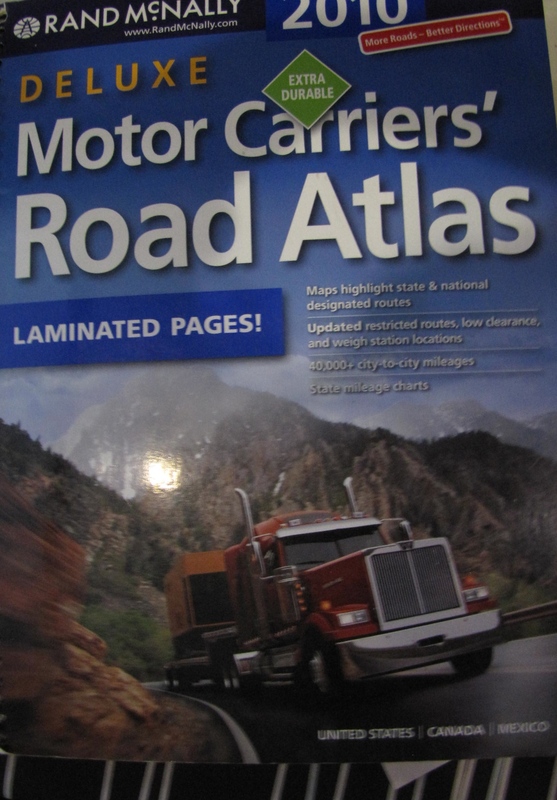 This publication written by an experienced driver provides information about mountain grades, length and mountain passes to be avoided. 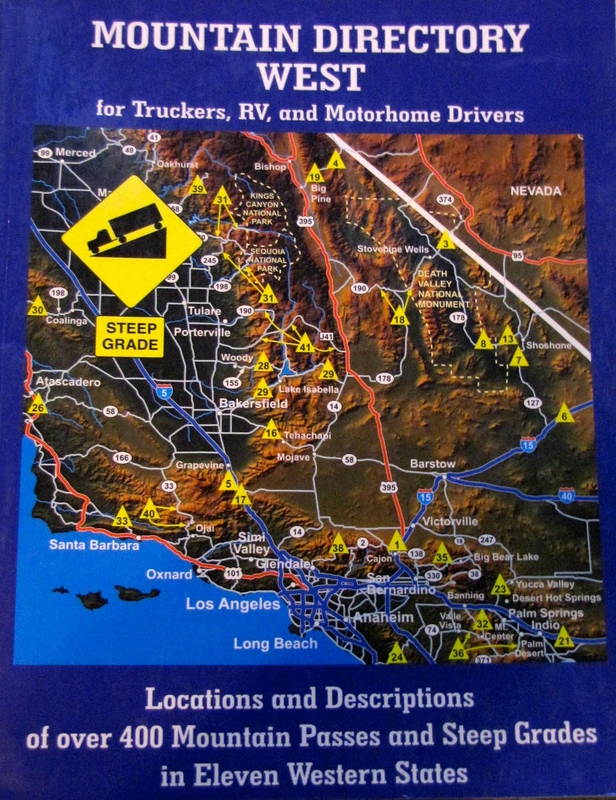 Should you have difficulty climbig steep grades – and maybe detach your tow vehicle – this book is invaluable. Published for East Coast and West Coast grades, this book may save your transmission. This has proven to be very useful while we have been on the road. We use Good Sam Roadside assist and they have been very helpful. Our most recent breakdown in Oregon was a good example. While they could not find us a tow, Donald talked to the good folks at Coach Masters in Bend, OR who recommended a tow service. After sweating it out for too many hours, we had a tow from the Dalles Oregon area to Bend Oregon. While not happy that Good Sam did not find us a tow, they reimbursed the $1800.00 tow bill (yikes!) without question. Invaluable. Hope you consider adding one or all of these to your coach inventory – all of these have helped us. What has helped make your journey smoother? Hey. I hope your travel up the east coast is going well. We learned something on our trip up to Astoria and back. After every day of driving I’d be totally worn, due to having to actively steer the motorhome. It wanted to walk all over the place, even on slight bumps and ruts in the road. Since then, I’ve installed an RV sized Steering Stabilizer. The difference in the steering is amazing. I can’t believe the darn thing didn’t just come with one in the first place. But I think it’s a good addition to your must have list. Hey Chuck! how nice to hear from you. I hope you and Kathy are doing well. we are enjoying our East Coast trip that Donald talked me into. We are sure not used to the short drive between destinations! where are you and Kathy headed this summer? safe travels and thanks for the suggestion – will have to check into it!